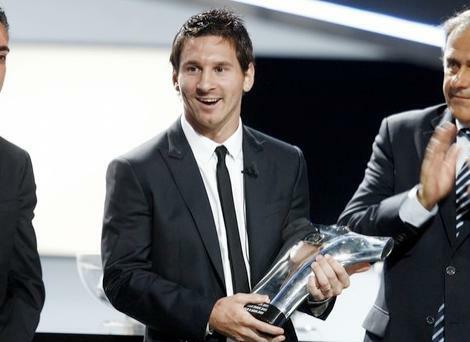 Barcelona’s Lionel Messi was crowned the Best Player in Europe for the 2010-2011 Season last night in a special ceremony that followed the UEFA Champions League Draw in Monaco. The Argentine is the current FIFA Ballon D’or holder, which is presented by FIFA to the World Player of the Year, and European Footballer of the Year, so another plaudit likely reaffirms Messi as the best player in the World at present. Messi – who wears the adidas F50 adiZero football boots – staved off competition from team-mate Xavi and Real Madrid’s Cristiano Ronaldo to take the crown, with a result that left little in doubt. Voted on the night by 53 journalists – one from each of UEFA’s national associations – Ronaldo was in third place in the final round of voting with 3 votes, Xavi took the runner-up spot with 11 leaving Messi with a ludicrous 39 votes – an overwhelming majority. Messi took the time to thank his fans and those who voted for him via his Facebook page immediately after the result was revealed, reaching nearly 24 million fans! The UEFA Best Player in Europe Award is an association football award given to the footballer playing for a football club in Europe that is considered the best in the previous season. The Best Player in Europe Award, created in 2011 by UEFA, is aimed at reviving the European Footballer of the Year Award – previously the famous Ballon d’Or -' which was merged with the FIFA World Player of the Year Award in 2010 to become the FIFA Ballon d’Or. 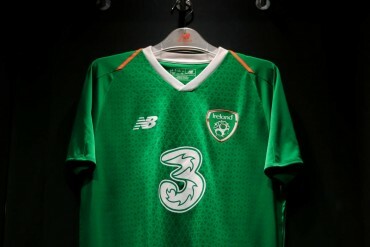 It also replaced the UEFA Club Footballer of the Year award. Is Messi a worthy victor? I giggled at the height order photo. 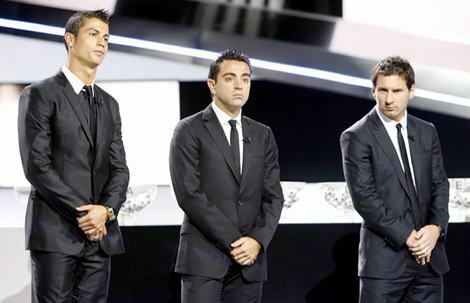 Ronaldo’s thinking :”Ah, losing another trophy to Barca players”. Â Ronaldo needs to feature more in games against Barca to challenge Messi to be honest. Messi needs some help from the Argentina FA to help him shine on the international stage. To be honest, no one is really standing out at the moment internationally, maybe Forlan is closest? Can Ronaldo change the game when he gets the ball? No. How many goals does he score in big games? Almost never. How many goals did ronaldo score in the CL? 6, Messi 12.
umm ronaldo scored those many goals just because oezil nd the rest of the team dedicated themselves to making him score wen it didnt matter. messi has scored solo goals as well fyi. it’s amazing…he gets the Ballon D’or and now player of the year but he has yet to show any skill on the International level. How can a player be regarded as the best player in the world when he only plays well with Iniesta and Xavi supporting him. As far as Ronaldo…in my book he’s definitely better than Messi. either one holds a candle to the greatest of all time, PELE. Out of the three showcased for this award. I would have given the award to Xavi. He scores, makes those incredible passes and does one thing the other 2 don’t do…he also plays defense.